The essayist, critic, and radio mainstay Clifton Fadiman is an entirely fitting subject for a book, but even more appropriate is to have that book be a brilliant love letter from his daughter. 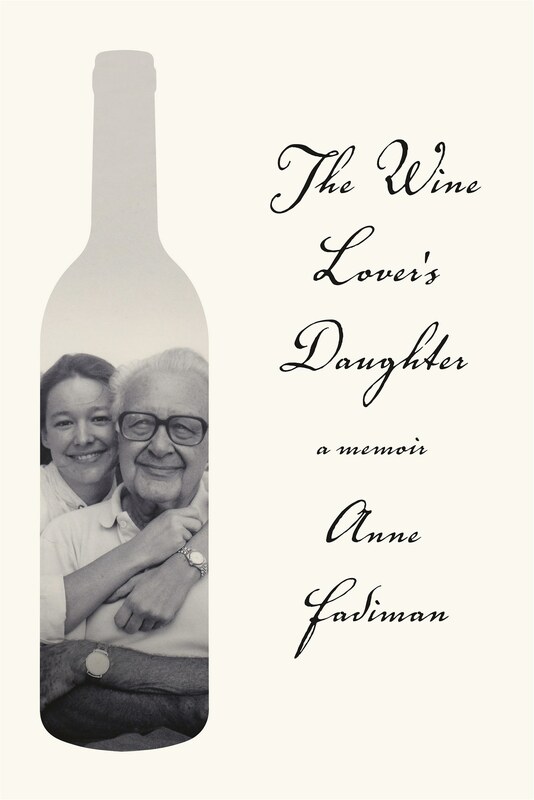 Anne Fadiman’s The Wine Lover’s Daughter extols his greatness as a father, his literary efforts, and his love of good wine, yet still acknowledges that he was a man with his share of shortcomings. The stories here are not just an accumulation of cute anecdotes about her father; each serves to reinforce a point Anne Fadiman makes. None is more illustrative of their close connection and the power of purpose in life than one moment described in the chapter “VIP.” Semi-retired to Florida, Clifton Fadiman (age 86) and Sam Aaron, his collaborator, wrote a new edition of Joys of Wine. Two years later Fadiman began to lose his sight due to acute retinal necrosis and considered suicide so he would not be a burden on his family. Reading had been a central focus in his life, and he feared that dimming eyesight would take that and his purpose in life away. His wife and daughter convinced him to attend the Visually Impaired Persons (VIP) center for six months. He did so with great trepidation but came home after the first day delighted with the things he had learned, such as how to fill a coffee cup or operate a tape recorder. This enabled him to continue reviewing manuscripts for BOMC which meant he could still work! And, the other patients at the VIP were of a certain age and remembered him from his old radio shows. After three weeks, the leader asked Fadiman to conduct a seminar called Fadiman’s Conversation Club. They all listened to a Larry King show and discussed it the next day. Once again, he was popular—a VIP—but one who was filling a need for others and for himself. Anne quotes from the “Battle of Maldon” to sum up his fight in old age: “Spirit must be greater as our strength diminishes.” It is valuable lesson for all who are growing older. Anne Fadiman writes that as “the balance of dependency resettles, relationships often sweeten and simplify.” At eighty-six, her father had written to her, “I think often of how much you have done for your ancient father.” Befitting his literary learning, he continued, “This particular Lear has more sense than the original: I know a Cordelia when I see one. Love, Daddy.” The Wine Lover’s Daughter captures the essence of her father and the lessons she learned from him. It is touching without being cloying, revelatory without being scandalous.